I started dyeing my hair when I was in college and I've never had black hair ever since (except when I was pregnant, of course). My hair was initially professionally colored, but it was way out of my student budget and my mom won't fund my vanity so I resorted to hair dyes available at the local drugstore. I've probably tried all sort of brands (Revlon, Loreal, Garnier, Tony Moly, etc.) and colors over the years and this was the first time that I took the time to make a review. Anyway, the product that I'll be reviewing is Revlon Colorsilk Luminista in Medium Blonde. 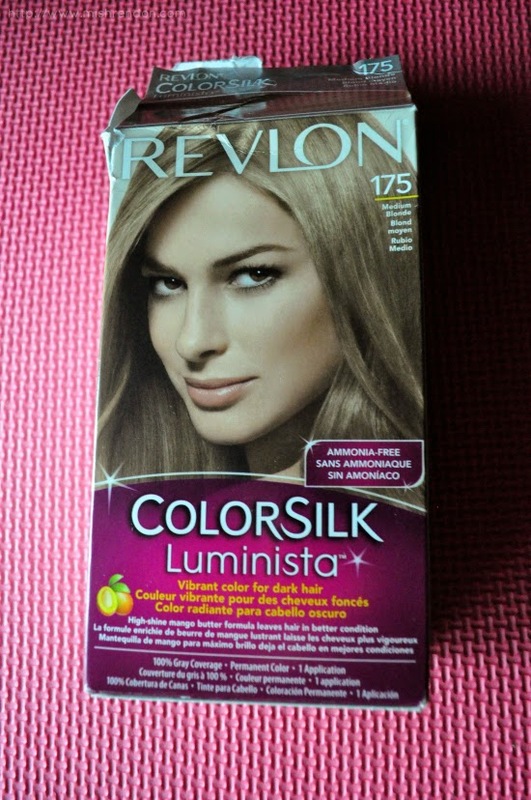 This was the previous dye that I used on my hair (over Revlon Colorsilk Luminista in Light Golden Brown) so I am just using the dye to touch up my roots. The product was easy to use since it came with instructions. 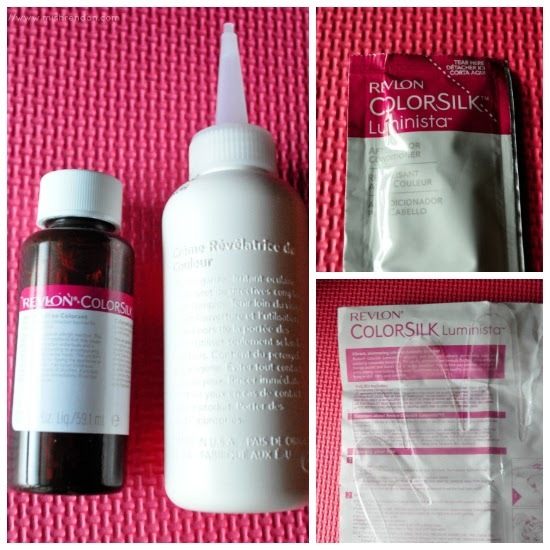 You just mix the colorant and developer and just apply the product generously on your hair. If you are coloring your hair for the first time, do not start with your roots! They tend to lighten up fast. Be sure to leave at least 2 inches from the roots. Just put dye on it when the ends have lighten already. Just right after applying the dye -> After one hour! I left the dye on for one hour (my usual coloring time). If I left it for 20 minutes as stated in the instructions, I won't get the results that I desire. Never, ever believe the color indicated in the box especially if you have resilient dark hair. Unless you bleach your hair, it won't turn blonde with just a regular hair color product. Lightened my hair effectively! It did not turn out blonde as indicated, but more of a light brown. I have resilient black hair and this was the only product that made my hair this light without having to use bleach. The product was just enough for my shoulder length hair. If you have medium length to long hair, you might have to use two or so boxes. No stains on the skin. I did not even have to put lotion on my face. It did not damage my hair (except for the inevitable dryness of the hair). My hair still looks healthy! Love the after-color conditioner! I hope they sell it individually. Super affordable! I got it on sale at Watsons for only P340 (original price is P425). 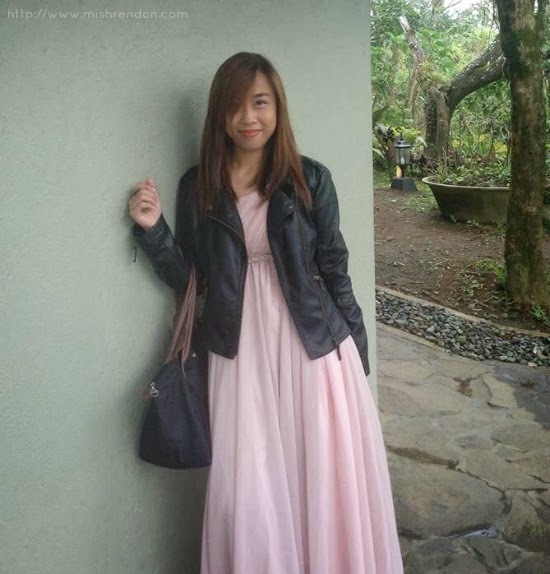 Imagine if I'll have my hair professionally colored, I would have to shell out at least P1,000. My hair felt dry after rinsing and every time I shampoo my hair thereafter. It is definitely important to condition your hair every single day. It turned out kind of red/orange-y (especially under the sun). So I guess it did not perform well in subduing the brassiness.